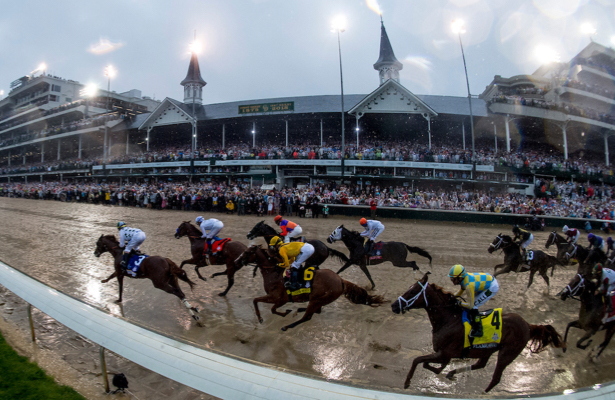 Kentucky Derby 2019 Daily: An underrated weekend on the trail? At first glance, this is not a noteworthy weekend on the 2019 Kentucky Derby trail. Saturday’s Sam F. Davis (G3) is the only points-paying race, awarding to the Top 4 finishers on a 10-4-2-1 scale. Sunday’s San Vicente (G2), the sprint at Santa Anita Park, meanwhile attracted just five runners, though one is Coliseum, who could step back up to the preps. Plus these happenings go off a week before the major Derby trail races — ones where if you win, you’re in — start with Fair Grounds’ Risen Star (G2). But I believe this is a bigger weekend for 3-year-olds than the calendar indicates. 1. Across the major circuits, open maiden special weight races will run Saturday afternoon at each of Tampa Bay Downs, Fair Grounds and Oaklawn Park. 2. There are also first level allowances at Gulfstream Park and Fair Grounds, the kind that often produce Derby trail players. 3. State-breds with connections who could consider preps down the road will also go in Aqueduct’s Jimmy Winkfield (Haikal, Tikhvin Flew) and Delta Downs’ Louisiana Premier Night Prince (Classy John). So there’s actually quite a bit of action ongoing in the division, and it’s getting late into the season for any horse to reasonably emerge from a smaller spot after Saturday and be ready in time for the Derby. Justify is, of course, still an outlier having debuted in February of his sophomore season. But given the Derby points system instituted beginning with the 2013 running, this remains a viable window in time for a serious horse to take that step needed toward being ready for one of the major preps. Justify (2018) — Debuted Feb. 18, won a March 11 allowance and then ran for points in the Santa Anita Derby. Audible (2018) — Emerged from an off-the-turf allowance for 2-year-olds on Dec. 6 to win the Holy Bull. Always Dreaming (2017) — Went from Jan. 25 maiden winner to a March 4 allowance before trying the Florida Derby. Battle of Midway (2017) — Debuted as a 3-year-old and used a March 9 allowance win to earn his try at the Santa Anita Derby. California Chrome (2014) — While showing obvious talent, it wasn’t under after the Jan. 25 California Cup Derby that he stepped back outside state-bred competition on the Derby trail. Commanding Curve (2014) — Returned off a Nov. 30 maiden win to miss the board in the Risen Star, then ran third in the Louisiana Derby. Danza (2014) — Went without a race between the Saratoga Special in August and a March 1 allowance at Gulfstream, then went on to win the Arkansas Derby. Orb (2013) — After losing his first three starts, a Nov. 24 maiden win and Jan. 26 allowance score led to the Fountain of Youth. 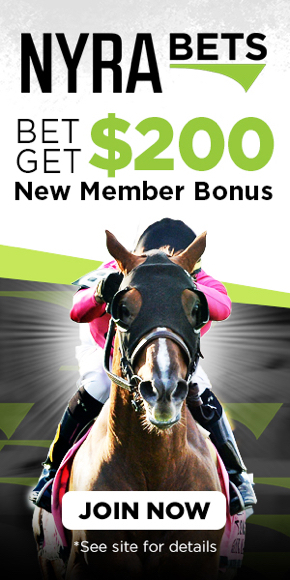 • Horse Racing Nation contributors teamed up to make their Sam F. Davis Stakes picks. • Get a look at the prospective Risen Star Stakes field before it draws Saturday. • A new edition of the HorseCenter video show runs down individual interests in Pool 2 of the Derby Future Wager. Bourbon War — The recent Gulfstream allowance winner is ticketed for the March 2 Fountain of Youth (G2) and tuned up with his second work toward it Friday, going four furlongs in 48.03 seconds. Game Winner — His fourth breeze in the new year was his second at five furlongs. The champ covered it in 1:00.20, drilling toward the March 9 San Felipe (G2). Hidden Scroll — Off his massive debut win, the Bill Mott trainee went a half mile in 49.80 Friday in his first work back toward the Fountain of Youth. Improbable — He looks closer to that 3-year-old debut stretching to 6/8 of a mile in 1:15.00 at Santa Anita. Instagrand — Having passed on the San Vicente, plans remain pending, but he also upped the work to six furlongs and did so from the gate Friday in 1:13.60. Mr. Money — The fourth-place Breeders’ Cup Juvenile finisher is possible for the Risen Star and put in 5/8 on Friday in 1:00.20 at Fair Grounds. Nolo Contesto — A Robert B. Lewis (G3) scratch last weekend, he remained sharp with four furlongs Friday in 47.40 at Santa Anita. Thursday’s Derby Daily report provided an update on Improbable and other WinStar Farms-connected 3-year-olds with a shot at the Derby.